Life Force is founded on high ethical values. In the age of the Internet, one comes across commercialization of medical services. Life Force policies are based on Good Medical Practice (GMP) guidelines. 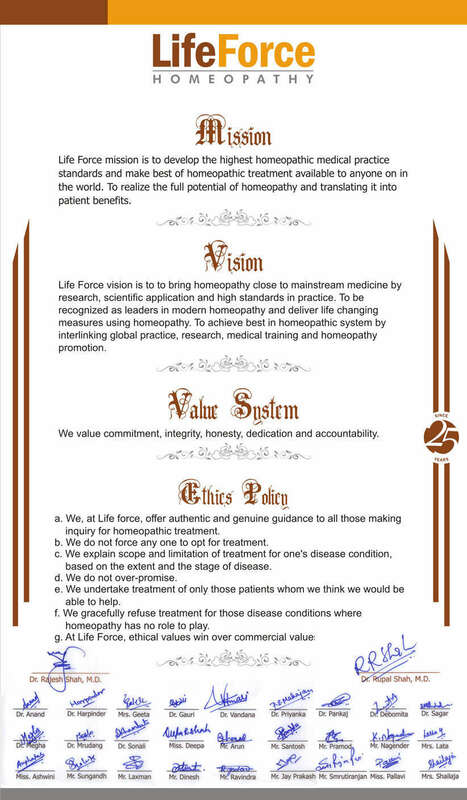 We, at Life Force, offer authentic and genuine guidance to all those who make inquiry for homeopathic treatment. We do not force anyone to opt for treatment. We explain the scope and limitation of treatment for one's disease condition, based on the extent and the stage of the disease. We undertake treatment of only those patients whom we think we would be able to help to a certain extent. 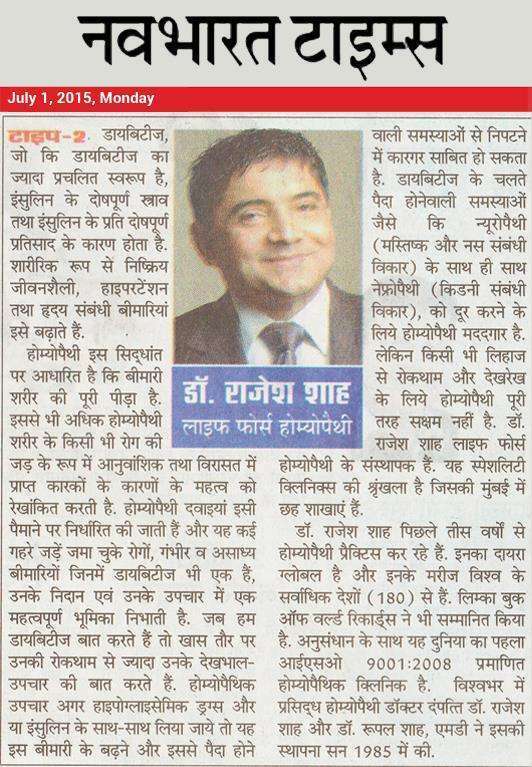 We gracefully refuse treatment for those disease conditions where homeopathy has no role to play.